Zamboo, a handsome Afghan dog, is looking for a home in America and a way to get there. We need your help! 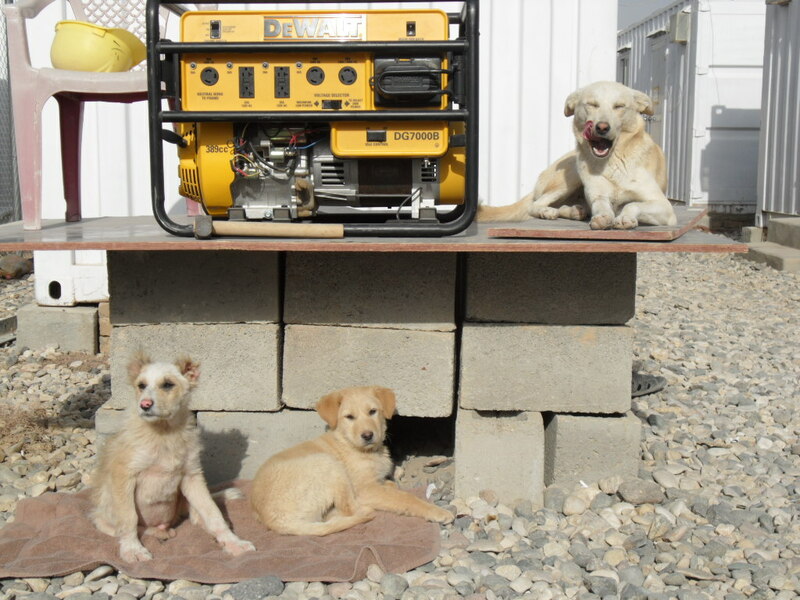 Zamboo as a small pup in Afghanistan. David is working hard to get Zamboo relocated to the US. He already has a dog in his hometown of St. Simons Island, Georgia and wants to find a loving owner for his buddy, Zamboo, once he arrives safely on American turf. Through research, David came in contact with Michelle Smith of The Puppy Rescue Mission, a non-profit organization in Colorado that works to reunite soldiers in Afghanistan with their adopted dogs. The price tag of bringing a dog back to the US is pretty hefty: It can run as high as $3,000 – $6,000 based on vet fees, medical supplies, boarding, paperwork and transport. The flight home usually involves a layover and connecting flight – often out of Dubai or Islamabad. David agrees: it is a big ticket for one dog but he says Zamboo is really special and he would hate to leave him behind. The Puppy Rescue Mission has agreed to help David get Zamboo to America. They know all of the ropes and procedures. They have a long, successful history of bringing dogs back to the US. PLEASE HELP US GET ZAMBOO SAFELY TO THE US! CLICK HERE TO MAKE A DONATION !! By clicking above, you will be redirected to a secure Paypal site maintained by The Puppy Rescue Mission. 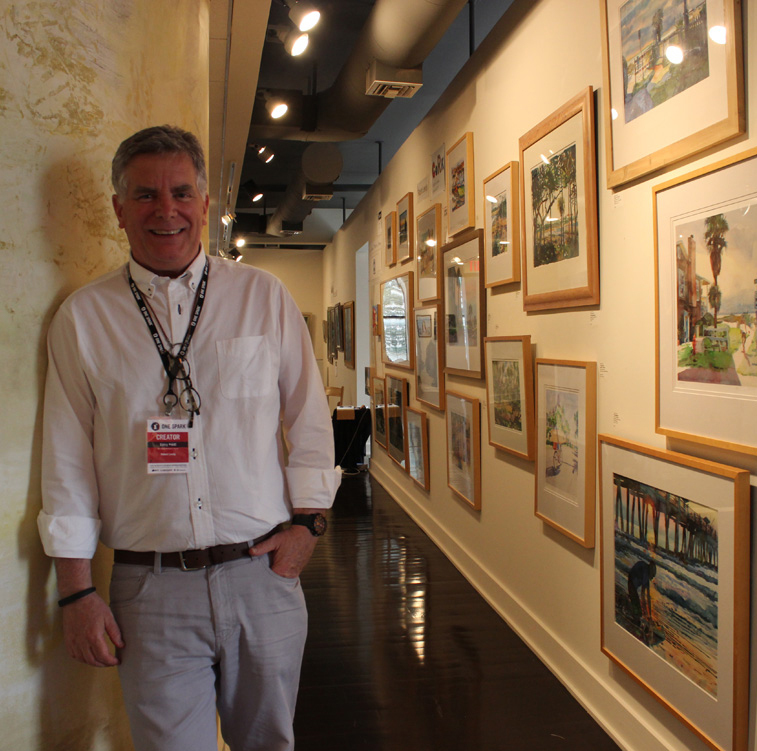 Your generous donation is tax deductible to the fullest extent of the law. Please use your paypal receipt as proof of donation. Send all requests to tax@thepuppyrescuemission.org if you desire to have a year end receipt. Any amount is greatly appreciated. Donations are handled through The Puppy Rescue Mission. Any donations exceeding the amount needed for Zamboo’s rescue will be donated to The Puppy Rescue Mission’s general rescue fund which helps reunite American troops with their beloved Afghan dogs. All donations are Tax Deductible to the fullest extent of the law. Note “Zamboo” on your check. 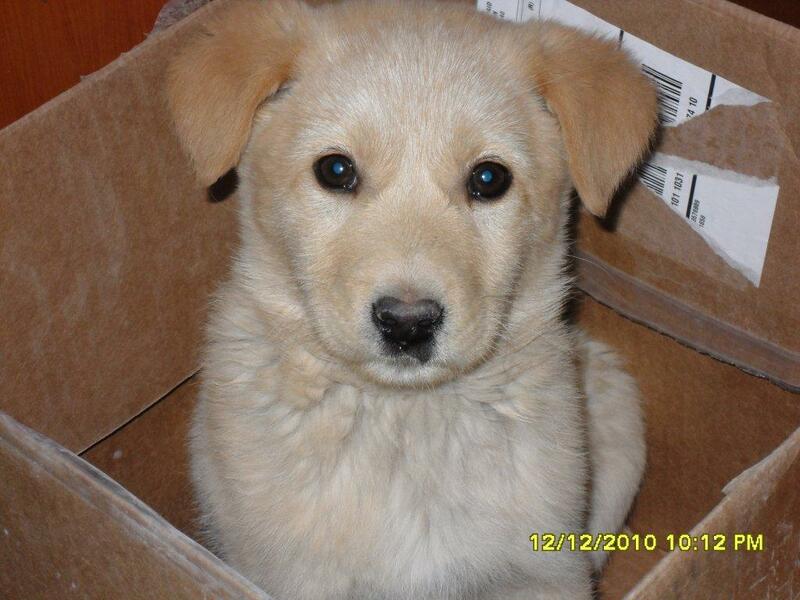 Zamboo, shortly after he was found as a puppy. Afghan culture is not very friendly to dogs. According to Islamic religious beliefs, if a person is bitten by a dog, he will not gain access to Allah. Consequently, dogs are a disgrace and treated as filth. All too often they are used for target practice, blown up, run over, kicked, mistreated, starved and abused. Many dogs run in packs and feed from garbage dumps and scrounge for any bits of food they can find. And if a dog has any contact with humans, it is usually when the dog is used as a fighting instrument for gambling and entertainment. “It’s really sad,” David told me, “to see these beautiful animals in such deplorable conditions.” In Afghanistan, dogs are not considered companions. They are viewed as pests and abuse is very common. David Beard met Zamboo through Joe, a co-worker of his in Afghanistan. Joe, like David, is an American who works for a private contractor in Afghanistan. Their camp is located inside the Afghan National Army base. Joe, an animal lover, was aware of how many Afghan dogs are strays and knew well the tell tale signs of an Afghan fighting dog: cut off ears and tail. 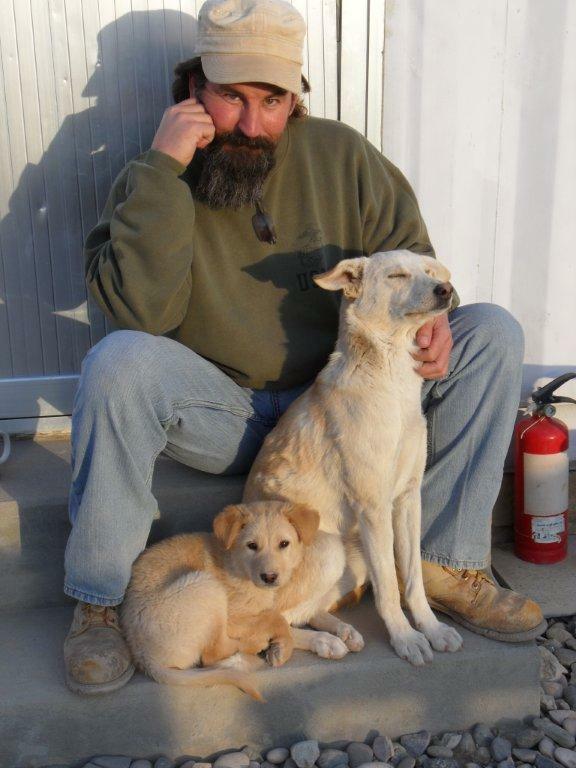 During his Afghan assignment, Joe took in two stray dogs: One was an abused fighting dog named Morcha. Looking at Morcha – which means “ant” in the local language – because of his size – one would wonder if he really was a fighter or whether he was more likely offered as bait. As is custom, Morcha is missing ears and his tail. 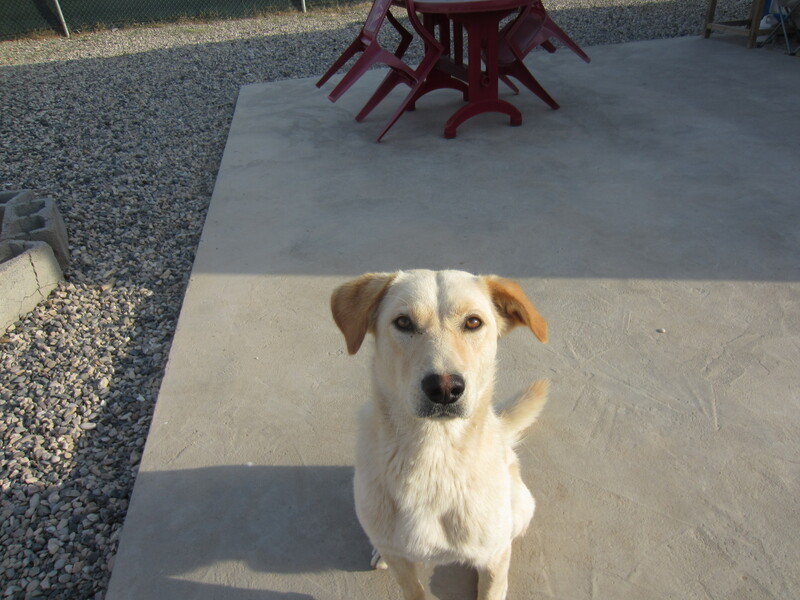 The other dog was Murray, a female Afghan Desert Dog. One happy family. (From Left to Right:) Morcha, Zamboo and Murray. Notice Morcha’s missing ears due to his previous life as a fighting dog. The puppy was so happy, carefree and willing to meet anyone it came upon – unusual in a place where dogs are not so welcomed. 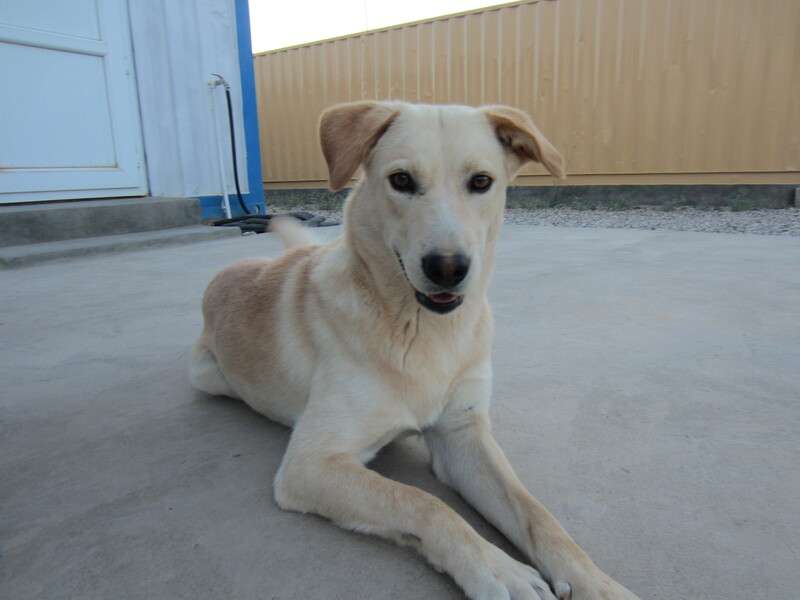 The puppy appeared to be a Yellow Labrador mix; Joe worked in this part of Afghanistan for several years and had never seen a Labrador in the area. Since he already was taking care of Morcha & Murray, Joe thought it wasn’t a good idea to take on another dog. Now it was just Joe, Murray and Zamboo. Joe, Zamboo and Murray. 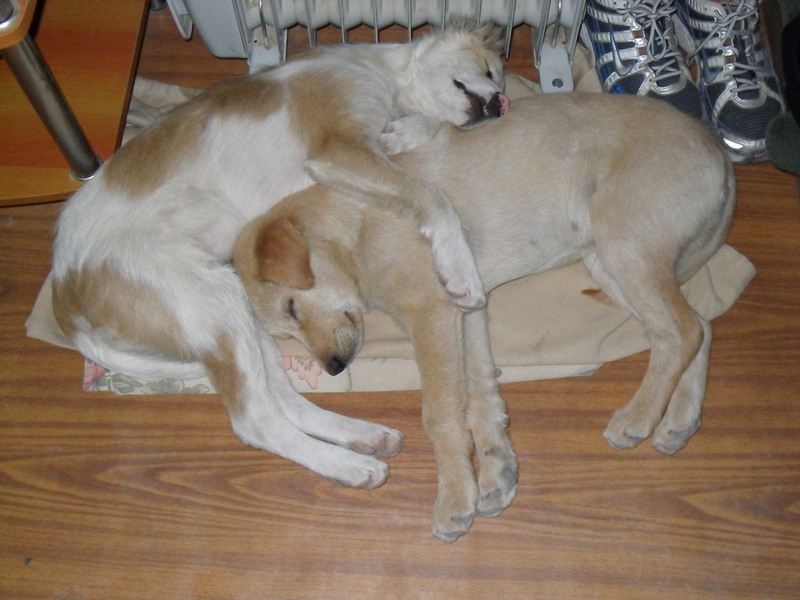 Both dogs were victims of poisoning by Afghan soldiers. Zamboo survived, Murray was not so fortunate. In November of 2011, Joe traveled to Dubai for a meeting. While he was there, someone called and told him something was seriously wrong with Murray and Zamboo did not look well. When Joe arrived back at the camp two days later, Murray had already died and Zamboo could not move. Joe determined that the Afghan Army had been laying out poisoned meat for the stray dogs and probably had thrown some over his camp’s fence. Unfortunately, Joe was reassigned to a dangerous, remote area of Afghanistan and could not take Zamboo with him. Joe entrusted David as Zamboo’s new caretaker and wants David to find a way to get Zamboo adopted to a new loving family back in America. The project has become urgent as David’s camp will soon be closed down. David wants so much to secure Zamboo’s fate before that day gets here. If you are interested in possibly adopting Zamboo, please fill out the form below. Are You Interested In Adopting Zamboo? Yes, it should be in the upper left hand area of the front page.